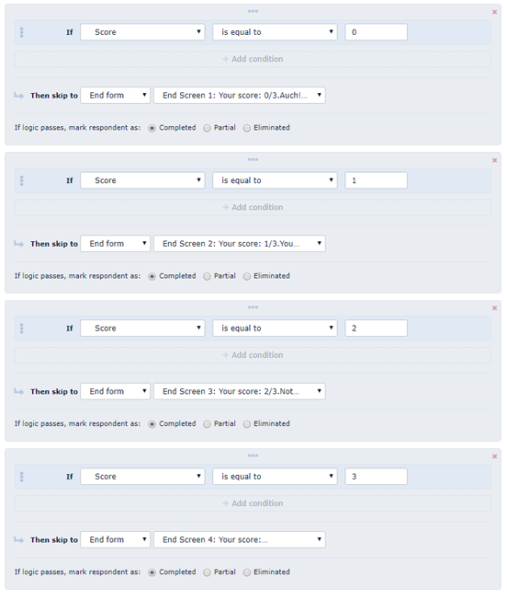 Learn how to add multiple end screens in your form, survey or quiz and what is their purpose. When you add multiple end screens? 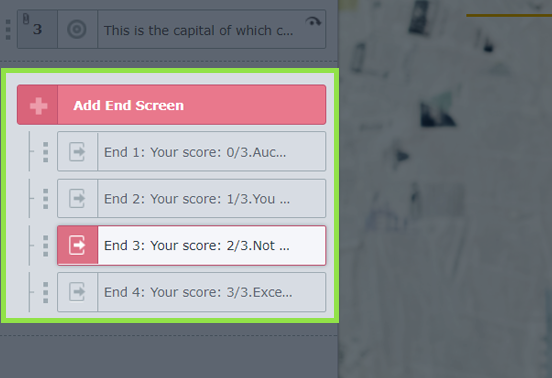 If you create a variety of exams, tests, or quizzes, multiple end screens can help you to give the respondents the results and maybe details of these results on end screen which further means that you need to have several end screens, given the variety of results. 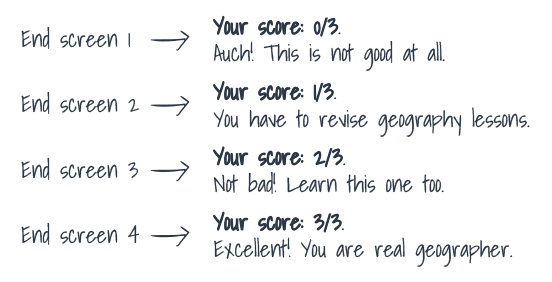 How to add multiple end screens? To add more end screens, you just have to click again like for the first one and new end screen will automatically be added after first one. We need to set up three more conditions so we click on "add skip logic" for each window and set the conditions.